Raleigh lead the team standings with 58 points with Madison Genesis second on 57 points and NFTO Pro Cycling completing the top three on 54 points. 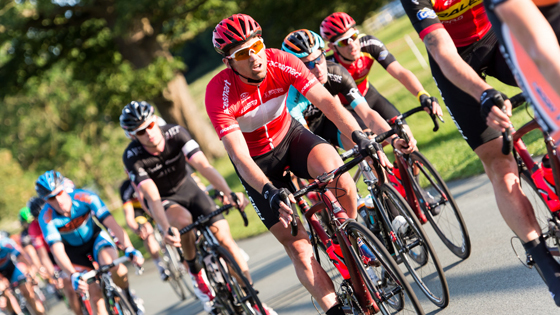 Team Raleigh can also boast the frontrunner in the overall Elite Road Series individual rankings after seven events. Thirty-four-year-old Yanto Barker sits on 138 points, Velsure-Giordana’s Marcin Bialoblocki second and Alex Peters of Madison Genesis third. Lincoln Grand Prix winner Barker was the overall winner of the three-race Spring Cup but it is NFTO’s Russell Downing who leads the six-race Grand Prix Series on 82 points, ahead of Raleigh’s Morgan Kneisky and Rapha Condor JLT’s Richard Hanley. Barker is featured in the initial start list alongside Stafford Kermesse winner Morgan Kneisky in the Raleigh ranks. Frenchman Kneisky won the bunch sprint in Staffordshire to help his team to the summit of the rankings. NFTO’s Downing is not included in the provisional start list. The 35-year-old though, who finished an impressive fourth at Commonwealth Games road race in Glasgow, will not want to relinquish his Grand Prix Series lead and may well make an appearance in Leicestershire. Downing’s teammate Adam Blythe is also absent from the start list but the British circuit race champion is in excellent form after a notable win at the RideLondon-Surrey Classic. With a win at Circuit of the Fens to his name in the series it would be no surprise to see the 24-year-old on the start line in search of another victory. Madison-Genesis will go in search of a first Elite Road Series win since Alex Peters took the opening stage and overall honours at the Tour of the Reservoir back in April. The team will also look to usurp Raleigh from the summit and include Mike Northey, Andy Tennant and Thomas Stewart. Ed Clancy returns to the road with Rapha Condor JLT after winning team pursuit silver in Glasgow, while Velsure-Giordana can put themselves back into contention for the team honours with a strong performance and include Bialoblocki and Matt Cronshaw. 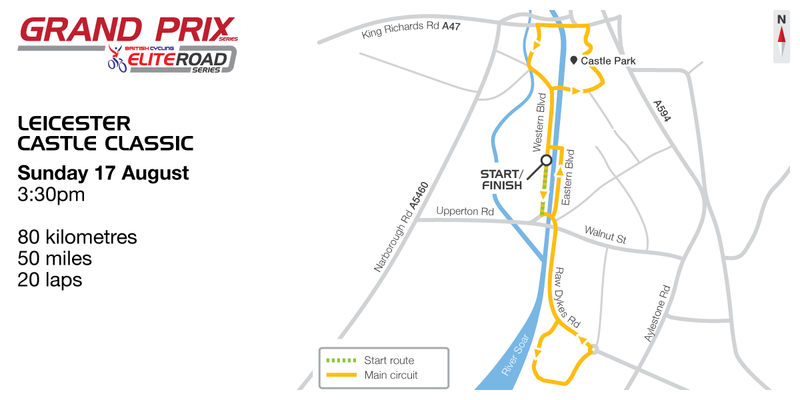 The race will be contested over 80km on a 4.1-kilometre circuit and starts at 3.30pm.